A percentage of this print design purchase will go directly to Doria. This stunning Art Deco No1 collection by local designer Doria Tsompani is influenced by art deco poster art and would fit perfectly for those looking for wedding invitations elegant vintage and striking. 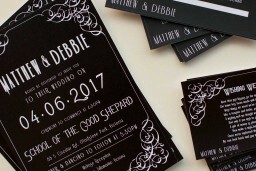 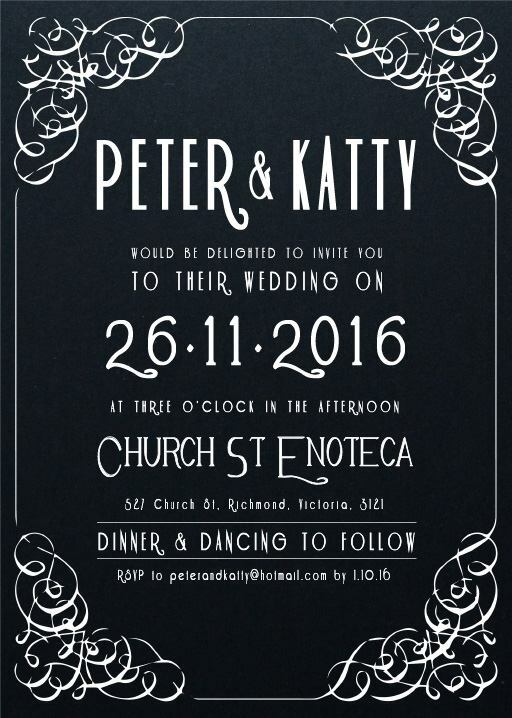 This Invitations card from the greater Art Deco No1 design collection would also suit those looking for elegant gothic wedding invitations and looks fantastic when printed using White Ink and we think when it comes to stocks, it looks best on Paperlust Black.